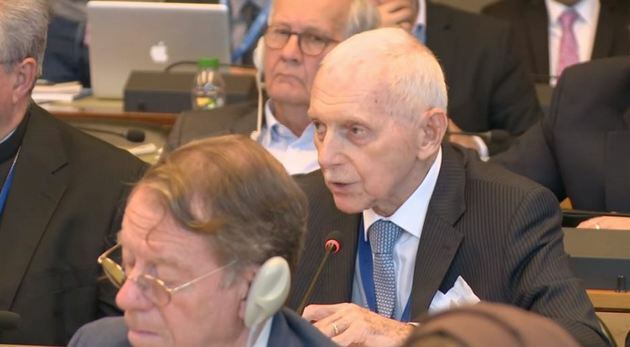 GENEVA, Jun 25 2018 (IPS) - The world is “basically at odds with itself,” International Organisation for Migration (IOM) Director General William Swing said Monday, June 25, describing the critical state of human migration between countries and continents. “I have to say that we are not only living in turbulent and troubled times; I have never known a world such as the one we have today,” said the veteran U.S. diplomat who this year ends his second five-year term at the helm of the IOM. Swing was addressing the first World Conference on “Religions, Creeds and Value Systems: Joining Forces to Enhance Equal Citizenship Rights”, organised by the Geneva Centre for Human Rights Advancement and Global Dialogue (GCHRAGD), which brought together academics and religious and political leaders on June 25 in Geneva. Swing’s warnings come at a time when the European Union is trying, so far in vain, to come up with a common policy with regard to the arrival of thousands of immigrants each week, and when U.S. President Donald Trump is not abandoning his government’s policy of separating immigrant children – more than 2,000 so far – from their undocumented parents – a procedure widely described not only as “cruel” but as “torture”. “I’m not aware of any significant negotiations or political processes underway right now, and with all of this, we have a countercyclical reaction by the world community — basically, fear of the other, anti-migrant and anti-refugee sentiment, that not only is putting human life at stake but denying us the contributions these migrants make,” Swing said. “So my first point is: I believe that we are in the middle of a perfect storm. We have a dozen conflicts from the western bulge of Africa to the Himalayas, with absolutely no hope in the short and medium term of resolving any of these,” he added. “Unfortunately, while most of this is occurring regularly, orderly and safely, we have at least 65 million people who have been forced to move,” Swing stressed. The GCHRAGD, where Swing was speaking, is an institution under the patronage of Prince El Hassan bin Talal of Jordan. 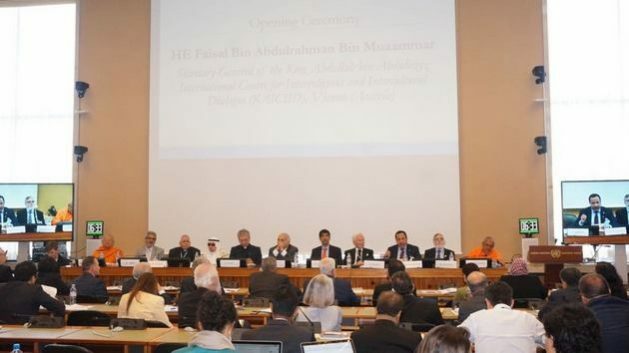 Bin Talal gave the opening speech at the global conference, in which some 50 religious leaders from the world’s different religions and faiths, as well as international experts on migration, participated. The conference, held at the Palais des Nations in Geneva, was a contribution to the celebration of the 70th Anniversary of the United Nations Universal Declaration on Human Rights, and approved a global 10-point strategic plan to achieve its aim of promoting equal citizenship rights. The document unveiled by Idriss Jazairy, executive director of the GCHRAGD and co-host of the conference, who stressed that it would be presented to different U.N. bodies. The IOM director general applauded the incorporation of this proposal in the conference’s strategic plan. “It seems that (the document) underlines the importance of respecting diversity and promoting the contributions that migrants and refugees have generally made,” Swing told IPS. “And I’m very pleased to see that it deals with the question of integration, which is at the heart of the issue. And very often people get there and they’re not properly integrated. So I think that’s important,” he emphasised. During the conference, Swing criticised those who ignore the contributions to society made by immigrants. “So, if we’re in a storm, we need to find the high ground. We do this by following the teaching of all faiths, that men, women and children are all children of God and members of the universal family,” Swing told the religious leaders drawn together by the GCHRAGD. “If we are to prevent future storms, we obviously have to make some changes. We have three challenges, in my view. Number one, is the challenge of changing the public narrative, which, right now, is toxic. We’ve become used to building walls rather than bridges….Until we can change that narrative, people will continue to be abused and have their rights disrespected,” he said. “That has to be addressed through programmes of public education and public information,” Swing recommended. Lastly, “we have to learn to address the challenge of inexorably growing ethnic, cultural, religious and linguistic diversity,” he said. “…I would simply leave you with the message that movement of people, human mobility, is not an issue to be resolved, it is a human reality, as old as humankind, that has to be managed,” he concluded.